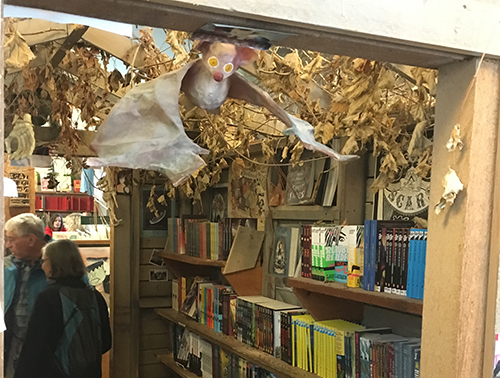 Courtney Smith spent part of her summer enjoying winter in Minneapolis, thanks to being one of our Kobo Booksellers NZ Scholars for 2016, alongside Rochelle from Paige's Book Gallery in Whangarei. 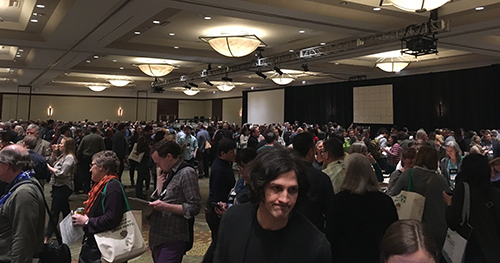 She has written about her time at the politically charged Winter Institute conference, and her week working in an LA bookshop for this week's The Read. Arriving in snowy Minneapolis, I spent my first day on a bus of booksellers touring local publisher Graywolf Press, then many different bookstores, including: Magers & Quinn, a huge general bookstore with new and second-hand stock; Open Book, a not-for-profit bookstore; and Wild Rumpus (pictured below), an amazing children's bookshop with cats, dogs, ferrets, rabbits, tarantulas, chinchillas, and many children jumping around the shop. Minneapolis is a sprawling city, and these bookshops are so far from the centre that they work hard to make their shops a destination, providing food and hot drinks, creating spaces for meetings and book-clubs, as well as running literary workshops and finding ways to support and involve themselves with their community. Arriving four days after Trump’s inauguration, talking politics was unavoidable. 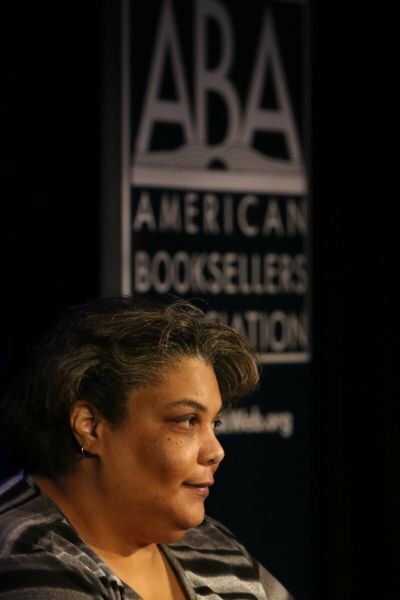 Every event over the four-day winter institute was politically charged – it started with a keynote speech by Roxane Gay in which she described her fury over Trump’s election, as well as lamenting the fact that she was still talking about diversity to rooms full of white people to make them feel better about their failings to increase diversity. Gay’s speech was incredible and I’m looking forward to seeing Gay at the Auckland Writers Festival this year. Another interesting talk was from Foyles CEO Paul Currie – he spoke at length about Barnum, their staff induction and training program that unfortunately only shops with HR departments can afford. But he also talked about how they simplified their website to great success. They discovered most browsing was on mobile phones and customers were more interested in reading rich content and Foyles recommendations than viewing discounted books. There were a number of talks that Rochelle (from Paiges Book Gallery in Whanganui) and I both attended, and when we sat down afterwards and discussed them from an NZ perspective we found it highly motivating – Rochelle was a fabulous companion to have! There were plenty of topics that were relevant and not-so-relevant to how things run in NZ. Over there, new title buying is seasonal rather than monthly. We’re definitely doing it right here – some smaller US shops operating without full-time buyers confessed they had so little time that they only looked at the first 50 books on any list and ordered from that! Edelweiss, a web-based ordering and analytics tool, has a near-monopoly on how books are ordered. Publishers pay a costly subscription to Edelweiss to upload their seasonal catalogues, which booksellers can then view (for free) and place their orders through the site. The benefit would be for those customers in hard to reach places that reps don’t visit, but it’s also eliminating the need for reps in the shops that do get visits, meaning publishers can’t guarantee their customers will even look at their lists on Edelweiss. 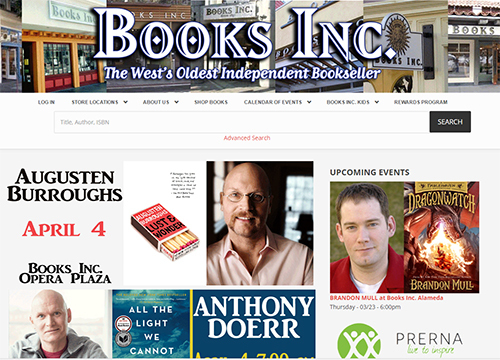 Thanks to economies of scale, most US indie bookstores are greatly benefitted by the IndieCommerce website the American Booksellers Association provides them (example above) – the ABA has a dedicated team that gives assistance and maintenance to each shop and their website. There were a lot of other technology discussions, particularly around POS software (turns out all of them have problems), accounting software, staff communication and messaging apps, and time management trackers. Many of the attendees worked in bookstores that were multi-level or had other branches, so it was interesting to hear that their staff would use their mobiles to check whether they had a title in stock for a customer by checking the shop’s website rather than finding a computer. While I doubt that would work in most bookshops here, hearing about these adaptive improvements to customer service was eye-opening. 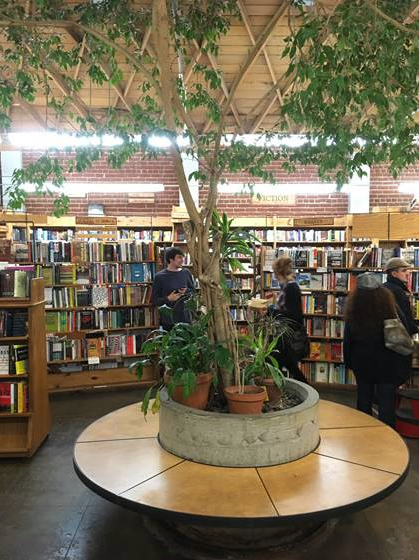 The highlight of my trip was my week-long work experience was at Skylight Books in Los Angeles (left). They are an incredible bookshop in the Los Feliz neighbourhood with 20 intelligent and generous staff members. I spent time in a buyer meeting, talking with different staff about books, incoming freight and returns, working an event for John Darnielle and his new book Universal Harvester, and taking a trip with the manager Mary Williams around L.A. to visit other bookshops including Vromans in Pasedena, Diesel in Brentwood and Booksoup in Hollywood (sadly Elton John didn’t come in when I was there). I took away some good ideas for the shop, and realised in many ways at Unity and within the NZ book trade we have a lot figured out! I also met some amazing authors and made great friends. Kobo, Booksellers NZ and Unity Books – this was an amazing opportunity & thanks for letting me go! To anyone considering applying for the scholarship, the whole experience is so rewarding – apply immediately and if you go, make sure you find out the exact square foot measurement of your shop, it’s the standard introduction.